Uganda Martyrs’ Day Celebrations are held every 3rd June at the Uganda Martyrs’ Shrine, Namugongo, Kampala-Uganda. In Uganda, this day is a public holiday, which gives chance to millions of people from near and far to make pilgrimage to this Holy Land. 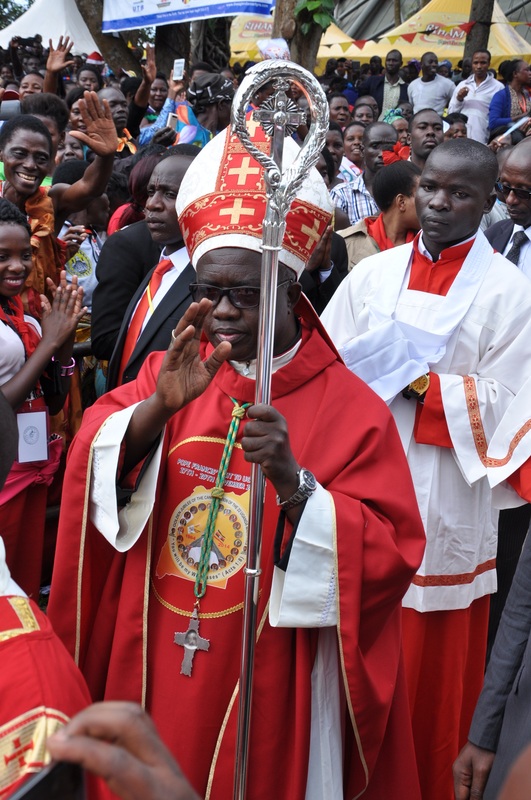 The liturgy celebrations are organized by various dioceses, year after the other and this year, Hoima Diocese is blessed to host them under the leadership of Bishop Vincent Kirabo. The event is held to commemorate the heroic death of the 45 Martyrs who were were executed between 31st January 1885 and 27th January 1887 on orders of Mwanga II, the Kabaka (King) of Buganda. This day celebrates the lives of those courageous Christians who were not shaken in faith. Their faith and legacy have strengthened belief in Christians across the world. Follow the live stream for up-to-the-second updates, commentary, and pictures directly from the celebrations right here. You can also participate in the live reporting with text, photos and videos by using the hashtag #UGMartyrs2017 on Facebook and Twitter.